A sense of humor is more sophisticated and requires a lot more brain power than most of us realize. In fact, sometimes strokes are associated with a decline or loss of a stroke survivor’s sense of humor. But, it turns out that not all strokes affect a person's funny bone, and medical researchers are starting to uncover which areas of the brain have an impact in humor and what types of brain injury impact a person's sense of humor. Interestingly, jokes are often about double meanings and puns, which, at first, seems to be related to language. About 90 percent of the worldwide population is right-handed and most right-handed people have their area for language function located in the left parietal and left temporal lobes of the brain. But humor is actually predominantly controlled by the right frontal lobe of your brain, opposite the language side. This means that a sense of humor is a skill that involves different brain skills beyond just understanding funny meanings of words and puns. A stroke can change a stroke survivors' personality, and one of the subtle ways that a stroke does so is by decreasing sense of humor. 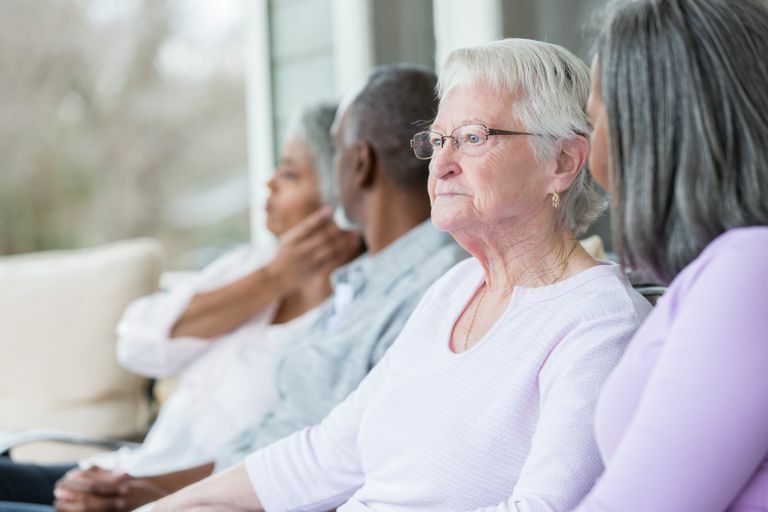 A stroke survivor and loved ones may not realize that the stroke is the cause of the personality change, often blaming it on other factors, such as aging. A study at the University of Toronto in Canada compared healthy elderly volunteers with patients who had an injury to the frontal lobe. It turned out that the normal elderly volunteers scored better on measures of comprehension of humor than the people who had an injury to the frontal lobe of the brain. This validates the results of several other studies which show that normal aging is not associated with a decline in people's sense of humor. Your sense of humor includes both your ability to produce witty jokes or amusing physical gestures as well as your ability to catch on to and understand jokes and subtle 'funny' humor when other people make jokes. A strong sense of humor has been associated with high intelligence because it requires the ability to quickly see parallels and subtle ironies. The tendency to express your sense of humor by making other people laugh is associated with a high level of self-confidence. It takes self-assurance to say a joke out loud or to make a silly gesture because everyone who makes a joke takes the risk of being rejected by others who might not necessarily agree that the joke is funny. Having a sense of humor helps people appreciate other people's jokes and helps bond people together in social situations. Even when individuals who do not spend a lot of time together hear the same joke on a television show, it helps build connections among people when they share the same pop culture, even if the subject of the joke is not particularly significant. So a sense of humor is a social and emotional advantage that can, unfortunately, be disrupted by some kinds of stroke. Family and friends can be dismayed to see such a sudden personality change in a loved one after a stroke. If you are coping with your own sense of loss when your loved one has lost her sense of humor, it is important to gently explain to your loved one that you understand why she has changed and to avoid excessively high expectations when it comes to recovery. In general, personality changes after a stroke are not always absolute, and you might see some glimmer of progress or possibly even significant improvement over time. Maintaining positive relationships and spirituality are key components of stroke recovery, especially when it comes to a stroke survivor's mood and personality. A study of humour and communicative intention following right hemisphere stroke, Cheang HS, Pell MD, Clin Linguist Phon. 2006 Aug;20(6):447-62.